Peppermint Stick Ice Cream has been a highlight at our house for as long as I can remember. Funny, Peppermint Stick Ice Cream is so pink and we’ve got all these boys. But truth is, they all love it because it’s so delicious! When they were little, I’d make it for birthday parties. Now we have it at Christmas and any other time we can think up a good excuse. It’s interesting, there’s no peppermint extract in this recipe. 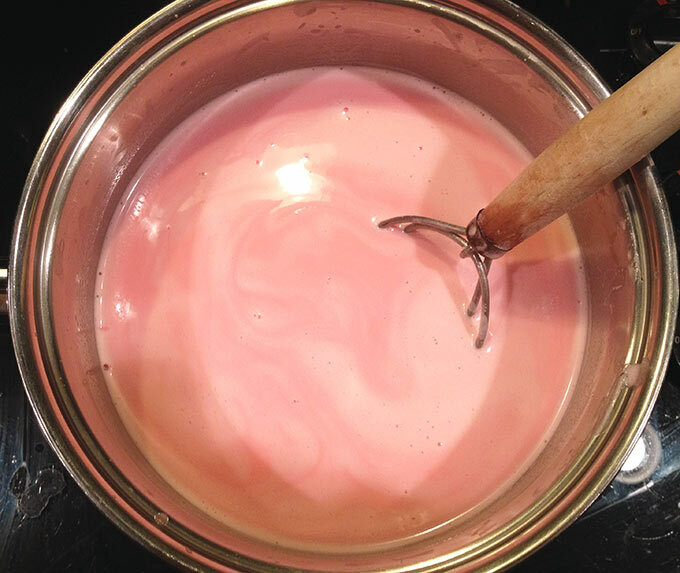 The delicate pink hue and great peppermint flavor come from melting peppermints (or candy canes) in the half and half. The egg yolks in the recipe give great texture and keep the Peppermint Stick Ice Cream extra creamy. 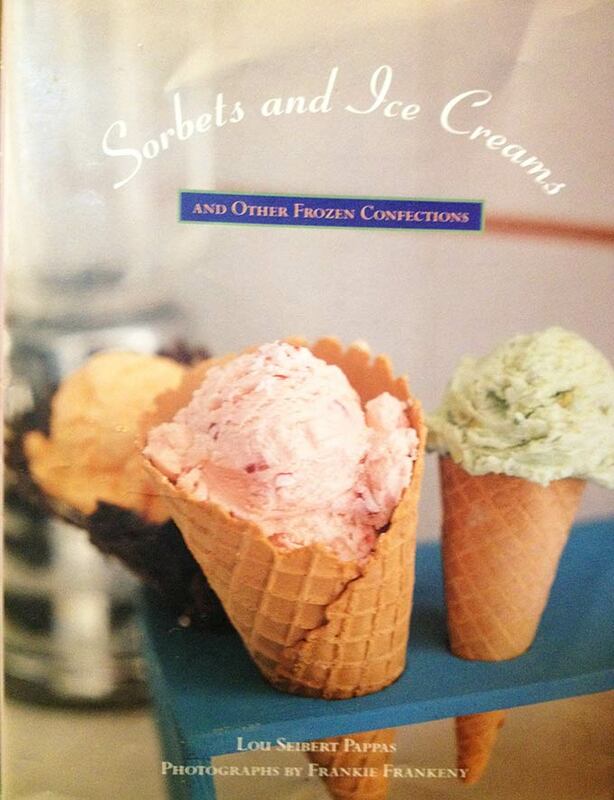 Found this Peppermint Stick Ice Cream recipe years ago in this sweet little book by Lou Seibert Pappas. 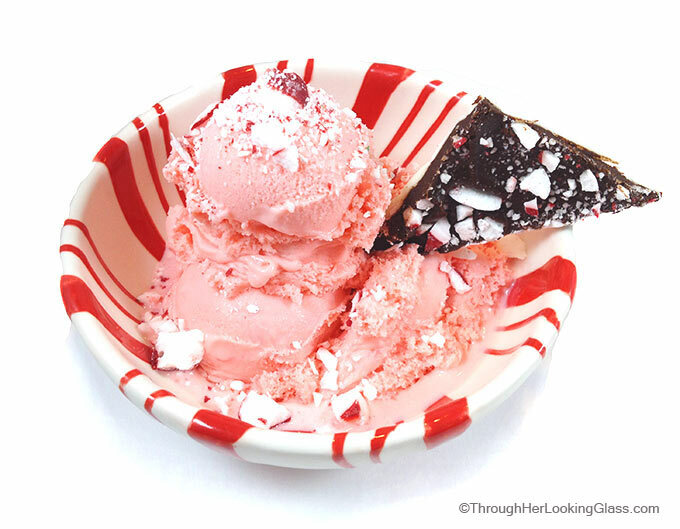 You’ll want to plan ahead when making Peppermint Stick Ice Cream, as there are several steps. Easiest to make the ice-cream mixture at night, refrigerate overnight, and process in the ice cream maker the next morning. 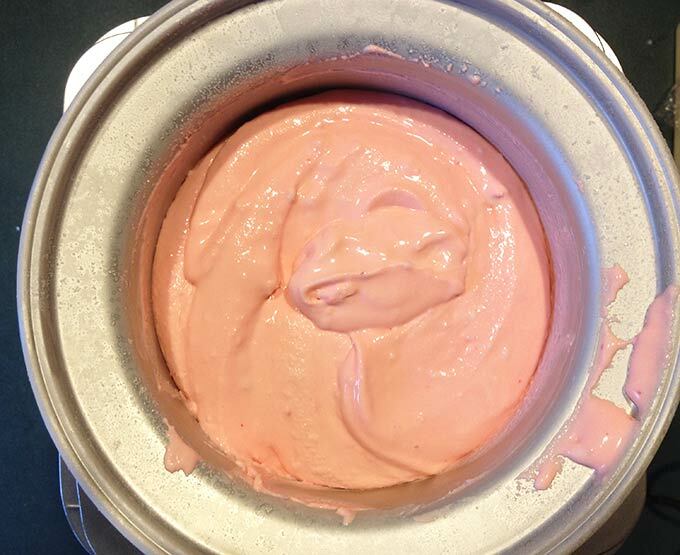 For hard scoopable Peppermint Stick Ice Cream, freeze 6-8 hours in the freezer after processing in the ice cream maker. Give yourself a full twenty-four hours from start to finish, even though most of that time the mixture is cooling in the refrigerator or freezing in the freezer. Refrigerate the mixture until cold, 4-6 hours. Process in a 2-quart ice cream maker according to manufacturer’s instructions, adding in the crushed peppermint candies at the very end. Serve soft, or freeze in freezer ’til hard and “scoopable”, 6-8 hours. Garnish with crushed peppermint candies or fudge sauce. (Or both!) For an extra special treat, add a piece of festive peppermint bark. 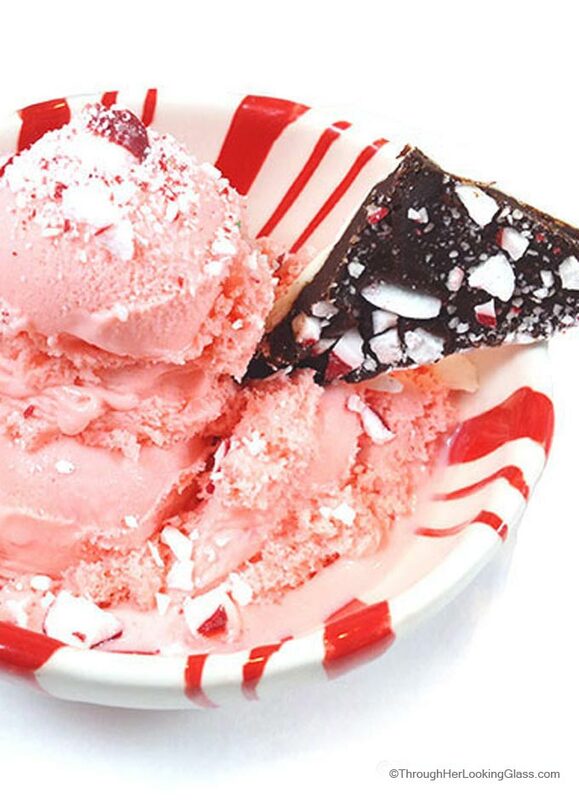 Peppermint Stick Ice Cream: the happy ice cream flavor that says little kid birthday parties, Christmas and other special occasions. 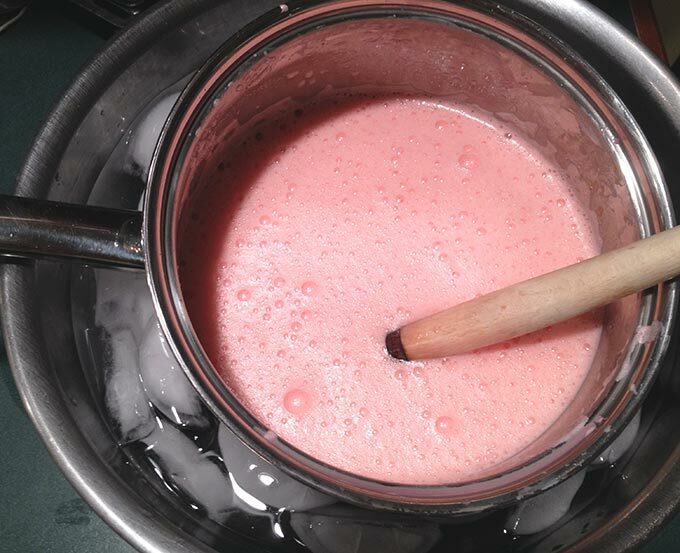 In a double boiler (or over low heat), combine 2 1/2 cups of the crushed peppermint candy with the half-and-half. Heat over barely simmering water (or low heat) until scalded. Set aside and let steep for 15 minutes or 'til the candy is melted, stirring often. Whisk some of the hot half-and half mixture in with the beaten egg yolks. 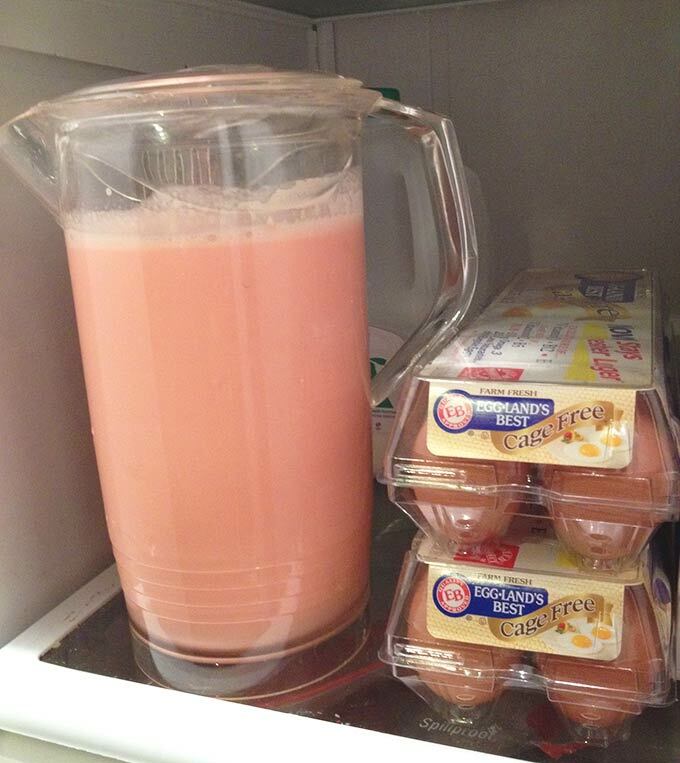 Return this egg yolk half-and-half mixture to the pan. Cook over simmering water (or low heat) stirring constantly, 5-10 minutes until the custard coats the spoon. Immediately place the pan into a pan of ice cold water and stir the mixture, cooling to room temperature. Stir in the heavy whipping cream and vanilla. Cover and refrigerate 'til thoroughly chilled, 4-6 hours. When almost completely frozen, mix in the remaining crushed peppermint candy. Serve soft, or freeze 6-8 hours until hard and scoopable. Sounds delicious, Allie. I don't know how you find the time for all that you do; however, those growing up in the Taylor household are so lucky to have you. 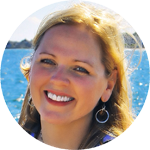 It isn't just your creativity but also your enthusiasm and joy in the simple pleasures in life. Thanks for the inspiration. I have a fun job...doing special things with my family and getting to share here! Thank you. I have had the privilege of enjoying this ice cream in the Taylor home and it is delicious!! Thanks for sharing the recipe Allie! This was one of my favorites when I was growing up. We traveled a lot and always stopped at Howard Johnson's (do they even have those anymore?) for dinner . AND I always ended with the peppermint stick ice cream. Great memories! I am not a big ice-cream lover, HOWEVER, there are certain flavors that I do adore, and this is one of them! I never even thought to make it myself, but now it's on my list for summer! Thanks so much for the easy recipe! I grew up eating peppermint ice cream from a local dairy and LOVED it. Thank you for this! 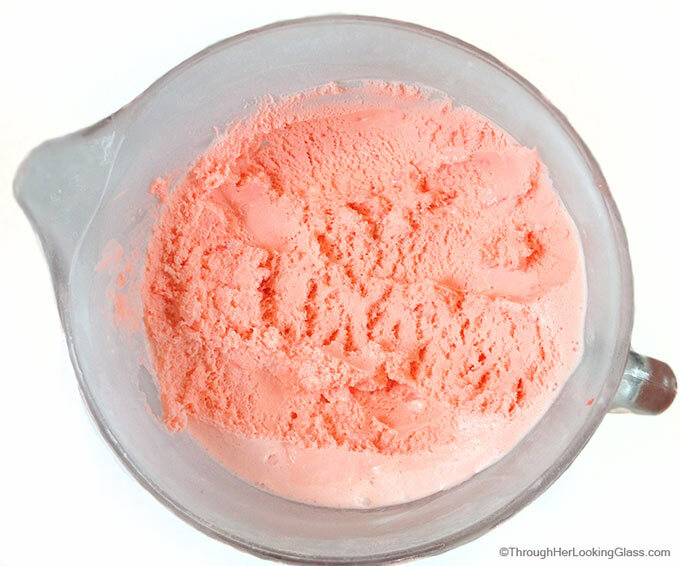 So summer-perfect and I love that pink color and the peppermint flavor! This looks perfect for a hot summer day....so pretty and tasty! I've been drooling over this ice cream! Sounds dumb to say, but it looks so refreshing and packed with flavor. It's so hot now in Phoenix, I'm constantly eating ice cream -- this is a winner! This looks amazing! I am planning to make if for new year's eve. Do you know how many candy canes this would be weight-wise? Thanks!